Having a smaller canine is convenient for traveling. You can bring your buddy with you almost anywhere you want to go. However, they can’t handle themselves when they’re in the crowd, and it is most likely that they’ll end up getting lost. Hence, consider investing in a pet carrier backpack for them. In traveling situations, securing your pet is every pet parent’s priority. A pet carrier backpack can keep your dog in safety while making sure they are comfortable inside. 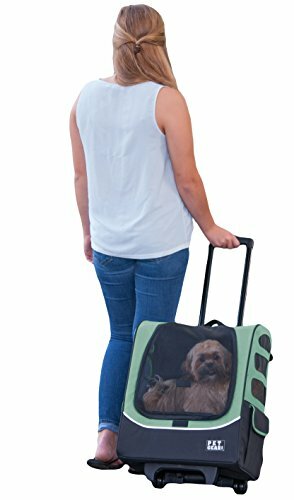 Traveling with pets has never been easier with a pet carrier backpack. To help you make the right decision, we present the top ten best pet carrier for your canine—from the most lightweight to the most stylish; we’ve got them covered for you. First on the list is the Celltei backpack-o-pet in green and light grey color. Thanks to its semi-rigid plastic panels and frames, it can pass the airline standards for a pet carrier. The zippers with auto-lock device ensure that your dog is safe inside. There is also an inside security leash and car seat attachment feature for this backpack. 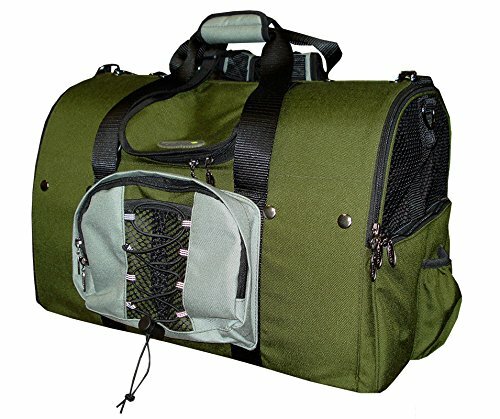 An outdoor design with durable Cordura fabric and light color interior allows you to travel in style with your pet. To make sure that your pet is comfortable inside, it features a climate and odor control compartment. This backpack is leak proof and safe to wash in a washing machine. The floor trap set with a foam pad provides optimal comfort for your little canine inside while you are exploring places together. Check out this frosty grey pet carrier backpack for dogs and cats from SimplyPetz. Its primary material is Cordura (water repellant) that’s perfect for traveling. You can convert it into a backpack, front bag, car seat, and pet bed—whichever you like. In that way, you can bring your pet with you anywhere you want to go. 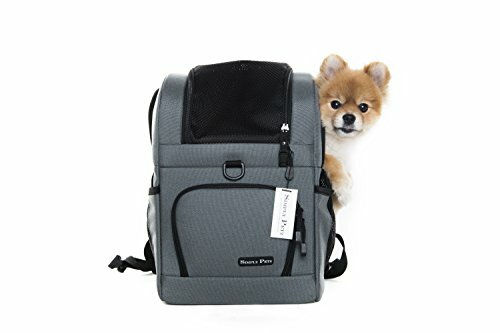 Both small and large sizes of this backpack are accepted in airlines, so it’s perfect for traveling abroad with your cat or dog. Rest assured that your pet is comfortable inside with its seated pad and a security leash inside. Two drink holders on the outside, one small storage pocket, and three openings for your pup to get out. It also features a mesh to increase the airflow inside the pet carrier. Traveling with your pet is made possible by this product. You can also choose from various color options to match your fashion style and pet’s preferences. Now you won’t need to leave your pet alone when traveling. Another product from Celltei is this backpack-o-pet in black color. 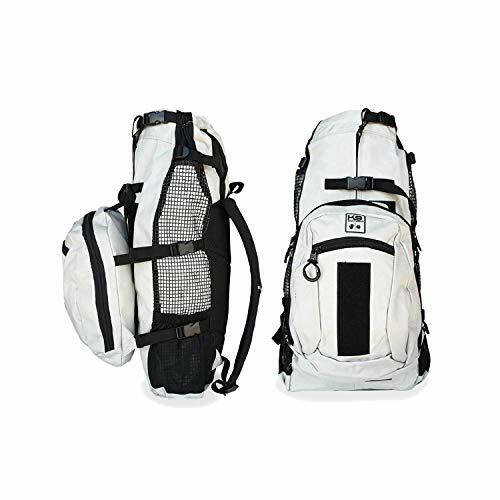 The airline approves of this backpack thanks to its semi-rigid plastic panels that provides stability and flexibility. Zippers with auto-lock devices ensure that your pet cannot open it with their nose. Plus, there’s an inside security leash and car seat attachment feature. It can serve both as a car seat and pet carrier. Discreet design with durable Cordura ® fabric and black interior is an elegant-looking. The climate and odor control compartment assures you that your pet is comfortable inside. Should there be any accidents made by your dog, do not worry because it’s leak-proof. This bag is safe to wash in a washing machine. Its floor trap set with a foam pad provides optimal comfort. Traveling with your pet is just a breeze thanks to this sturdy and functional pet carrier. This semi-sphere window design pet carrier from Powerocean is perfect for small dogs and cats. Now you can economize your carrying effort with this eco-friendly pet backpack. It features an adjustable padded shoulder for your carrying comfort while traveling. The built-in security leash allows you to secure your pet inside the carrier. Mesh panels and ventilation holes increase the airflow for your pet. 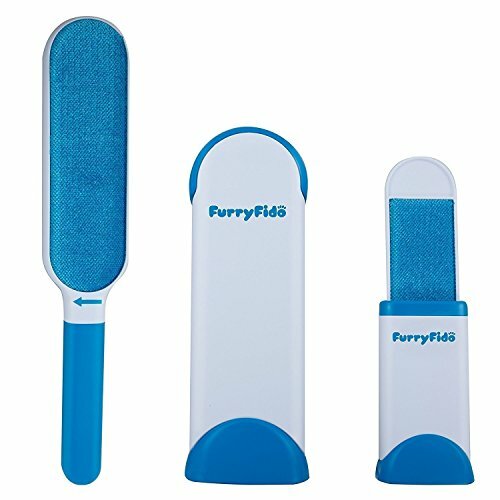 Its soft, washable pad provides optimal comfort for your pup while being carried inside. 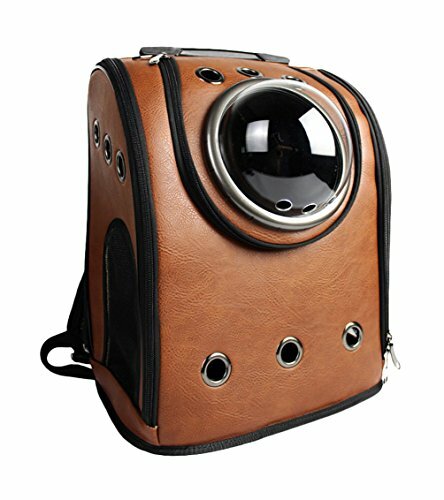 The semi-sphere design of this pet backpack secures your pet inside and prevent them from escaping. Solution-based designs from this product make traveling with your pet easier while ensuring his safety. The backpack can accommodate pets weighing up to 12 pounds. 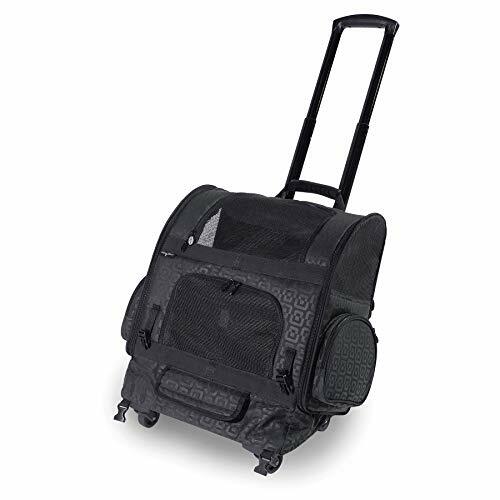 This roller-carrier backpack from Gen7Pets is perfect for pet parents who are always on the go. The roller-carrier is both stylish and functional. Whether you’re just doing grocery or planning to take a trip out of town, you can bring your pet with you. Its smart level design ensures that your pet wouldn’t get knocked over when you are pulling the carrier from behind. The carrier’s generous size can accommodate pets weighing up to 20 pounds. This bag is engineered to keep your pets calm and relax. There are top and front access doors, two mesh side windows for increased airflow, and an interior safety tether to prevent them from jumping off the carrier. Now you can throw in his leash, toys, and other dog items without difficulty. If you are going on rough terrain, convert the product into a backpack. The smart-comfort pads will ensure that your pet is comfortable inside while you are walking. 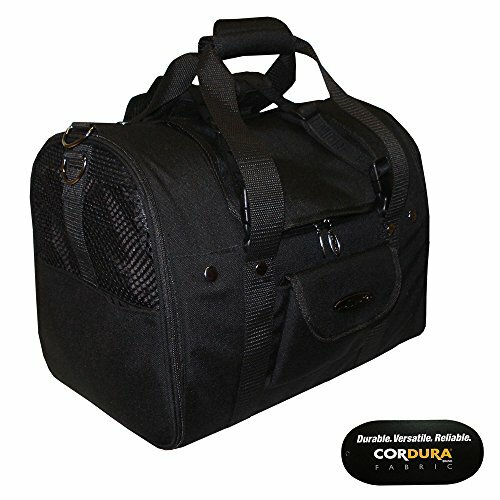 The Freerun pet carrier for cats and dogs are approved by the airlines, thanks to its innovative features and design. This revolutionary semi-sphere window design will not allow your pet to escape and cause trouble. Small-sized cats and dogs are perfect for this pet carrier. The adjustable padded shoulder straps and carrying handle makes it comfortable to carry them around without hurting your back. This pet carrier is easy to attach to seatbelts. You can convert it into a dog seat once you’re inside a vehicle. Rest assured that your pet is secured inside with its built-in security leash. The mesh panel and ventilation holes provide sufficient air for your pup. Its soft pad is washable. The top and side entries are all padded for optimal comfort. It’s easy to store and an essential tool for traveling. If you want to achieve comfort, convenience, and safety all at once, you should consider this product. For a travel adventure that awaits you and your pet, you can use the Pet Gear pet travel carrier. It has an internal fleece pad for your pet’s optimal comfort. You can attach the included tether to your pet’s harness for a whole new level of safety. Its telescoping handles stores out similar to a suitcase for convenient usage. You can use this as a pet carrier, a pet backpack, tote bag, car seat, or even a roller bag. The adjustable straps provide maximum comfort while carrying. 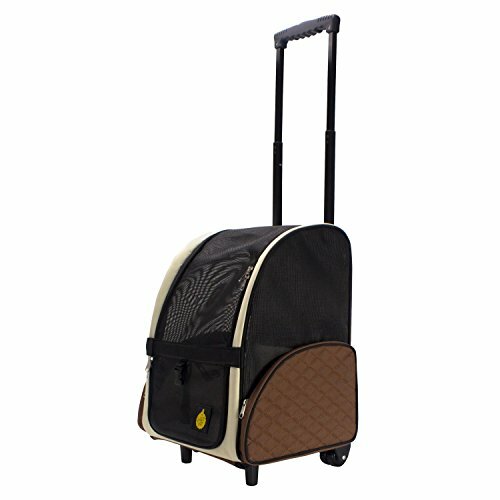 Wheel cover and pockets for valuable items makes it an essential tool for traveling. There’s a mesh panel to ensure proper ventilation to your dog. Fleece liner and pocket for treats for your puppy inside. For pet parents who feel guilty of leaving their dogs behind, this backpack from K9 Sports Sack solves your dilemma. Now you can take your dog anywhere with you. Its generous size can accommodate up to semi-large dogs. 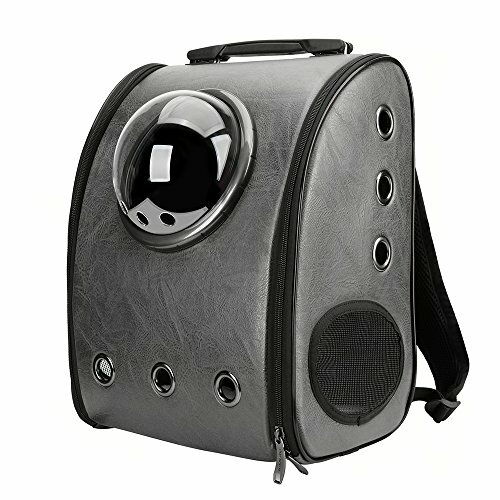 This pet backpack is available in both grey and black color so that you can travel in elegance. This backpack is designed, so no dogs are left behind for adventures. This air plus backpack is lightweight and comfortable to carry. It features several extra storage pockets for your valuable items and dog’s toys. The backpack provides maximum ventilation and comfort for your pup while you’re exploring. The FrontPet pet backpack is offered impressive versatility for pet parents out there. You can roll it on the airport and convert it to a backpack once you reach rough terrains. Its large dimension can fit medium-sized dogs. This durable dog carrier allows you to cater up to 15 pounds of pet. Thanks to the durable mesh, sturdy fabric, and heavily constructed zippers, you can bring your dog anywhere with you. This design is already approved by the airline. If you are planning to travel abroad, you will never have trouble with this product. Engineered to provide optimal comfort with high-quality mesh and several openings so that your pet can have fresh air. Now your pet will never feel trapped inside. Secure your small cats and dogs in this semi-sphere window design pet carrier. Now you can travel in style and comfort with your pet. The padded shoulder straps are adjustable to prevent causing backache. It features a built-in security leash, mesh panels, and ventilation holes for your dog’s safety and comfort. The top and side entries are padded as well. This practically designed backpack allows you to have fun with your furry friends in all of your adventures. It’s the perfect solution if you want to bring your pet with all your travel adventures. The backpack can cater for pets weighing up to 11 pounds.